This cover illustration was done for map publisher, Rand McNally when maps were still done the old-fashioned way and printed. 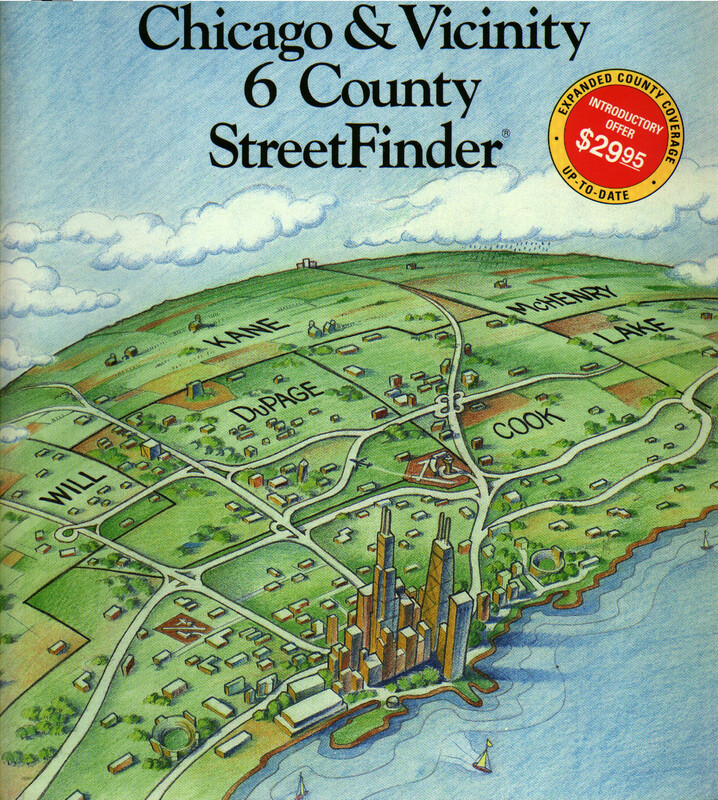 The cover features the Chicago area with the downtown area distorted, and area major highways and counties labeled. The finished printed book product was about an inch thick and approximately 8″ x 10″ in size. I did the original art on drawing or drafting vellum using color pencils.